Since Langzichn engaged in the literature in a town in Guangdong south-west, China, as a junior high student in the late 1980s, he has maintained individual, modest and consistent personalities in his life of writing, creating a unique style in the Chinese contemporary writings. Langzichn , whose autonym is Wu Mingliang, was born in Fachow, Guangdong, in 1968. 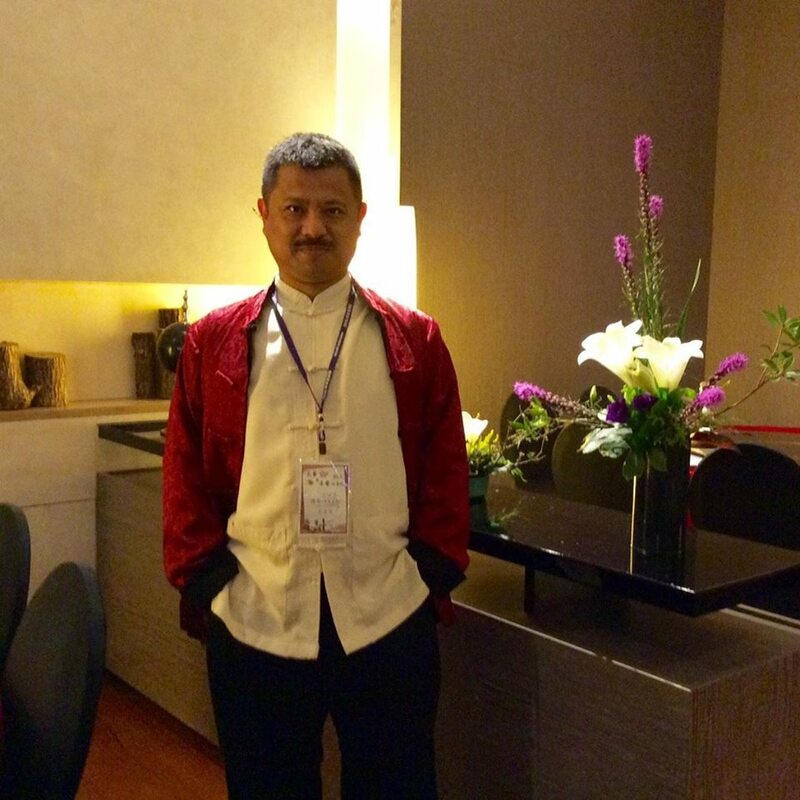 He has engaged in writing since 1985, and started publishing his works since 1988. His first poetry anthology, entitled “It’s too late to look back,” was published in 1993. 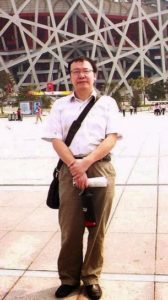 From 1995 to 2010, he worked for numerous magazine firms, including the Chinese official pro-reform press outlets like South Reviews, Southern Metropolis Daily and Origins. He was “forced to disappear” for two weeks for his involvement in the “Chinese Jasmine Revolution,” which took place in Guangzhou in June 2011. As getting involved in composing the “Liu Xiaobo’s Memorial Poetry Anthology,” he was framed and under “criminal detention” by the Chinese authorities on charges of “illegitimate business” in Guangzhou on August 18, 2017. The incident sparked international pressure, and as a result, he was released “on bail” on September 22, 2017. Now he lives in Guangzhou. 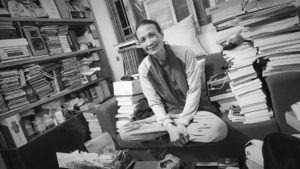 Zhao Sile is one of few independent thinkers in modern China, who fights against the social system through her actions and writings related to “battles, setbacks and conflicts” to extend a “path of civil awakening of Chinese women”. As a young woman born in the late 1990s, Zhao Sile chooses to start on the path of individual action and dissident writings and is therefore suppressed by the Chinese authorities mercilessly. Not only is she a thinker and writer, but she is also an activist. As phenomenal as her male counterparts like Liu Xiaobo, Gao Zhisheng, Xu Zhiyong, Guo Yushan and Yi Renping, she and other outstanding women, including Ai Xiaoming, Ye Haiyan, Kou Yanding and Wang Qiaoling, not only battled against the autocratic regime, but also protested against prejudice with perseverance. Zhao Sile is as outstanding as Lin Zhao, a female human rights pioneer who killed herself by hitting a wall, and as a result, the ICPC decides to grant her the Lin Zhao Memorial Award. Zhao Sile, female, was born in Guangzhou, China, in 1990. She attended Nanjing University in 2009. From September 2011 to February 2012, she travelled to Taiwan as part of an exchange program, starting to engage in independent writing of newspapers. From September 2012 to May 2013, during her college years, she worked as a journalist at Hong Kong-based press media iSun Affairs, receiving Hong Kong’s 2012 Human Rights Press Awards for coverage of elections held in the Guangdong village of Wukan, along with the Hongkonger journalist Annie Zhang. In March 2015, the Chinese government detained five feminist activists, an incident called the “Feminist Five." Zhao Sile appealed for their release through writings and published her works in US magazine Foreign Policy and German magazine Der Spiegel with a circulation of more than a million. After the end of the case, the Chinese feminist movement was suppressed. 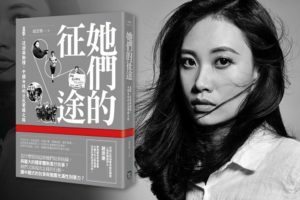 Zhao Sile resigned from “Feminist Voices,” devoting herself to reporting the political suppression by the Chinese government and the social movement, receiving plenty of Hong Kong’s Human Rights Press Awards and an award “Excellence in Reporting on Women’s Issues” by the Society of Publishers in Asia. Since 1989, the Chinese poet and writer Li Bifeng has been persecuted by his own country violently and put behind bars repeatedly as a political prisoner. He has endured the plight for over 18 years. He, now 53, spent a third of his lifetime in jail. What makes us astonished and moved is a real independent poet and writer is never defeated by the Chinese government that framed and imprisoned him for dissident views. Li Bifeng is just different from others. He maintains his conscience and universal compassion, viewing confinement in prison as nothing due to his immense bravery and perseverance. He treasures the importance of freedom, outlining his great ambitions through Chinese writings, completing a great number of works to describe agony and life in a vivid manner. Despite a low circulation, his publications demonstrate a high level of moral values and power of words, placing a tremendous influence on society. Owing to his courageous actions and succession, Li Bifeng sets an example of the Liu Xiaobo Courage to Write Award in contemporary times. In view of the above, the ICPC grants Li Bifeng the Liu Xiaobo Courage to Write Award. Li Bifeng was born in Mianyang, Sichuan, in 1964. He is a poet and novelist, whose pen name is Feng Zi, and a Chinese political prisoner. Getting involved in the Tiananmen Square incident in 1989, he was sentenced to five years in prison for the “crime of instigating counter-revolutionary propaganda” by the Chinese authorities. Investigating the labor movement for human rights groups in 1998, he was sentenced to seven years in prison for the “crime of economic fraud” by the Chinese authorities. In 2005, he served out his sentence, and was released from jail. In September 2011, he was abruptly again under criminal detention for getting involved in economic disputes by the Chinese authorities. In November of the next year, he was jailed for 12 years for the “crime of contract fraud” by the court in the first instance. He was dissatisfied with the sentence and filed an appeal. The court ruled in second instance in June 2013 that the original sentence was changed by sentencing Li Bifeng 10 years in jail for the same crime. He should serve his sentence until September 2021. Some have speculated that his sentence is linked to his act, which the Chinese government alleges, of sponsoring the dissident writer Liao Yiwu to flee to Germany. Since the 1990s, Li Bifeng has been persecuted and jailed for several times. During the periods of being imprisoned and released, he stuck to his conscience as a writer, continuously completing his works of over a million words, including poetry, novels, jottings, dramas, and social investigations, with immense bravery and perseverance. Most of his writings were seized by the Chinese authorities, and few of his writings were kept in the website set up by his friends living abroad, who attempt to save him. In 2013, under the appeal by Liao Yiwu, a renowned Chinese writer in exile, the International Literature Festival Berlin lauded and promoted Li Bifeng’s spirit of writing with liberties, staging a campaign, called “Worldwide Reading for the Imprisoned Chinese Poet Li Bifeng,” in June 4, 2013. Since then, Li’s plight has become well-known to people around the world. At present, he is still serving his sentence in Jintang Prison in Sichuan, China.